Elexis Bronson – Mom of 4. We had such an amazing Labor Day. We just hung out on the beach all day while the kids played and sweet Ellie even took a nap. Our smart edge outdoor blanket and toddler lounge from Lulyboo definitely made our day easier. All my little water babies snuggled up eating snacks together was just what … More Beach days. Leave a comment Beach days. I always say I am such a city girl but I grew up in a very small town. While it’s not for me, I think kids really benefit from living a slower, outdoorsy life. It’s not always go go go. 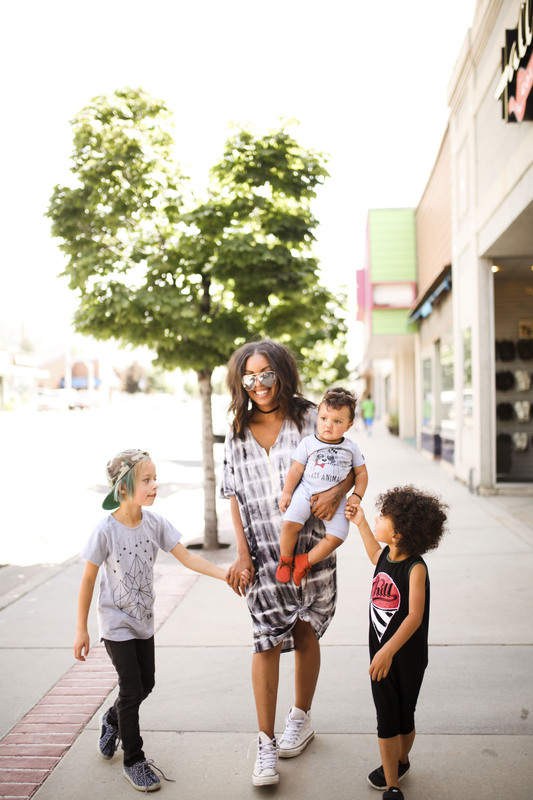 We have been exploring all that Utah has to offer us and these postpartum leggings … More Active life.